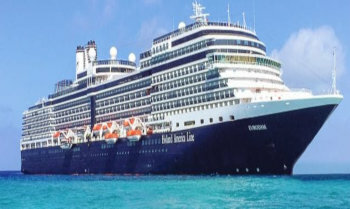 Holland America Line’s first Signature-class cruise ship, Eurodam has delighted guests since her maiden voyage, and recently received many exciting updates, including new lounge, dining and entertainment venues, and completely refreshed suites. Guests now have even more world-class entertainment options than ever before. Live music has always been the heart and soul of evenings aboard Holland America Line, and Eurodam features the full Music Walk experience – with three exciting venues. Lincoln Center Stage, featuring world-class musicians performing chamber music, and Billboard Onboard, rocking the house with 50 years of chart-topping hits, join the already popular B.B. King’s Blues Club, which brings the best of Memphis blues to sea, and completes our new “Music Walk” experience. In addition to amazing evening entertainment, an array of activities allows you to pursue new interests or relax and rejuvenate. Enjoy onboard cooking shows and hands-on workshops in partnership with America’s Test Kitchen. And explore the wonders of our world through exclusive BBC Earth natural history content through onboard activities, concerts and films. Learn how to edit, display and share your vacation videos and photographs through our Digital Workshop powered by Windows®. 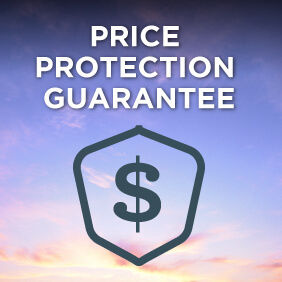 View all Eurodam cruises, view a selection of Holland America cruise deals, or view more options for Holland America cruises. Direct from Beale Street, the B.B. Kings All-Stars Band brings the best of Memphis music to sea. From funky and fast to soulful and smooth, this eight-piece band performs nightly in the Queen’s Lounge. Holland America Line has formed an exclusive partnership with the Lincoln Center for Performing Arts in New York City onboard three of its ships. The venerable institution lends its name to a space to showcase classical music recitals, with top musicians performing numerous programs of chamber music every evening, and afternoons on sea days. Named for a famous 18th-century Venetian artist, Canaletto is your destination onboard for an intimate Italian dinner. The evening begins with the chef’s selection of antipasti with a taste of the delicious fare and personal, polished service to follow. Aboard the Eurodam, enjoy the Tamarind for food evoking the rich culinary traditions of Southeast Asian, China and Japan. Sel de Mer (“sea salt”, in French) is an intimate seafood brasserie offering a contemporary twist on French seafood classics, with à la carte dishes ranging from fresh oysters to salt-crusted whole fish to bouillabaisse. New York Pizza offers five Big Apple-themed thin-crust personal pizzas made to order in less than 10 minutes, as well as the option to select your own preferred toppings from an extensive list. In the meantime, you can enjoy a salad, and afterwards the pizzeria offers a couple of sweet desserts to top off the meal. Pinnacle Grill: This intimate reservations-only venue offers an elegant, sophisticated dining experience. Featuring premium Double R Ranch Beef, inspired seafood dishes and many select wines rated “Excellent” by Wine Spectator – as well as distinctive Bvlgari china, Riedel stemware and Frette linens. Spa Suites and Staterooms: Relaxation…privacy…serenity. These are the hallmarks of the Eurodam’s spacious new Spa Suites and Staterooms, located on the Panorama and Observation decks include special spa amenities. Digital Workshop, powered by Windows Guests will be able to “show and tell” their vacation memories, learning how to share all their digital memories through email, blogging and social networking – so friends and family can see where they’ve been cruising even before they return home. Free workshops taught by Microsoft-trained “techsperts” make it easy and fun, even for novices. Club HAL: our dedicated youth facilities and activities for kids ages 3 to 12; activities are supervised and age appropriate. Choose from an array of onboard activities that allow you to pursue new interests or relax and rejuvenate. The Greenhouse Spa & Salon offers spa treatments, a thermal pool and lounge and a variety of salon services. Our fully equipped Fitness Center includes state-of-the-art cardio and weight machines, as well as classes in Yoga, Pilates, indoor cycling and more. On deck enjoy two outdoor pools, along with basketball and volleyball courts. Enjoy exclusive BBC Earth Natural History content on board. Learn about the ocean and natural world through amazing concerts, films, shows, childrens activities and featured cruises. Guests will be able to “show and tell” their vacation memories, learning how to share all their digital memories through email, blogging and social networking – so friends and family can see where they’ve been cruising even before they return home.